A god cannot die, and a story never truly ends. Dr. McCoy confronts Captain Kirk with a staggering discovery -- Lt. Carolyn Palamas is pregnant with the child of Apollo. Or is she? 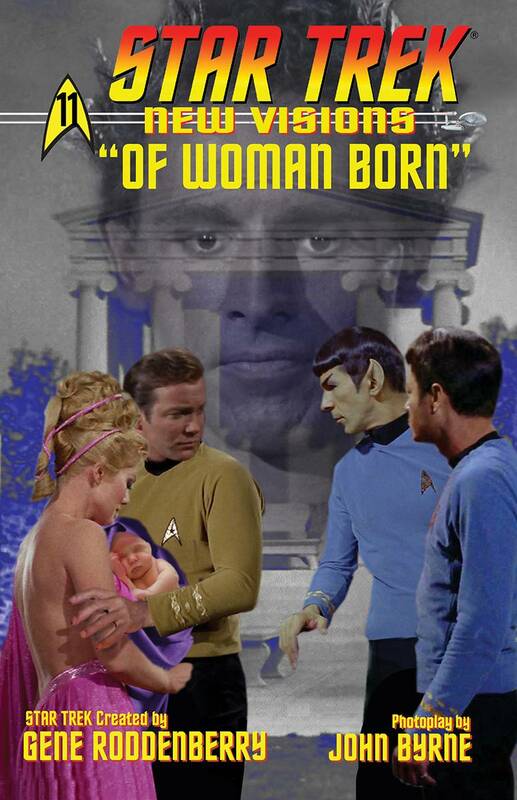 Find out in 'Of Woman Born,' courtesy of photomanipulator extraordinaire, John Byrne.